WILA’s core activities are aimed at a single mission: To achieve the highest level of productivity for the press brake user. To achieve this, WILA continuously strives to develop the latest bending technologies and innovations, resulting in high quality products. The TIPS system is one of the most recent WILA innovations. The WILA TIPS system is an integrated part of the press brake control system and supports tooling identification and continuous monitoring of tooling position. In any position in an upper clamping, lower clamping or storage system, tooling can be located and identified. 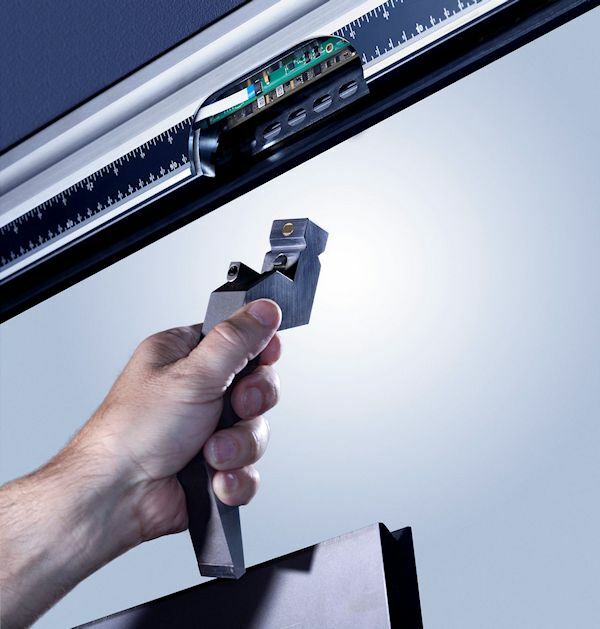 Due to the very precise recognition of the tools, the TIPS system indicates if the correct tool is being used, if the length of the tool is correct, and what should be the exact position of the tool in the clamping system. With this detailed information both errors and test bends can be avoided, resulting in a substantial increase in productivity.